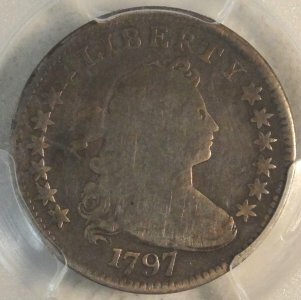 1797 U.S. Dime Variety: 13 Stars VG-8 (PCGS)... Small Eagle Reverse: Very scarce to rare in all grades. 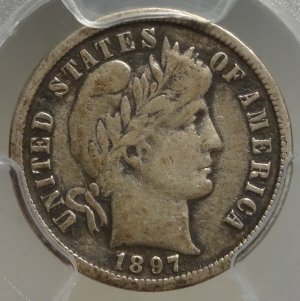 A very scarce original with problem free surfaces AND RIM. Check the PCGS population report, these have a very low survival rate with a low population of examples existant. In other words, there is not enough of these for everyone with a Type Book! 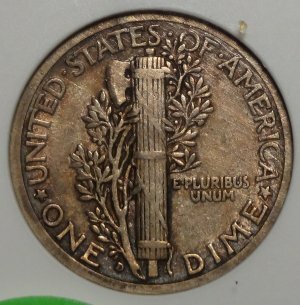 Again, our senior numistatist believes he has only seen a handful of high end circs. for sale during his 55 years on the job. Perfect for Type. 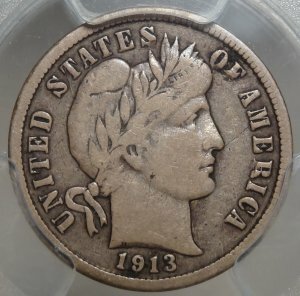 1891-P U.S. 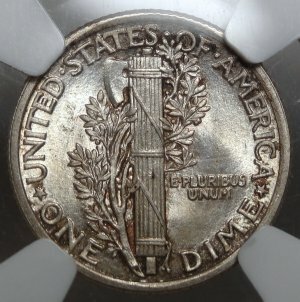 Seated Liberty dime MS64 (NGC/CAC). 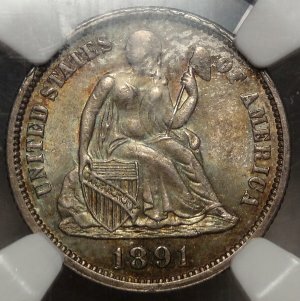 . . CAC Sticker so you know it is choice for the grade. 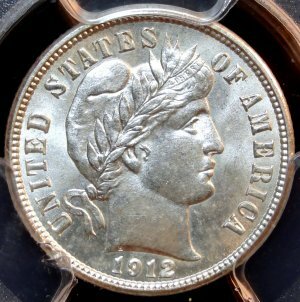 A popular and gorgeous coin ready for your collection! 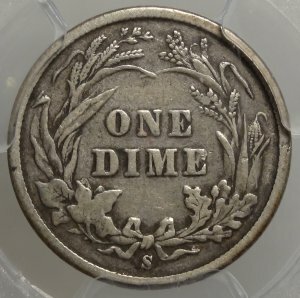 1895-O U.S. Barber Dime XF Details (PCGS)...Details close to Almost Uncirculated, with considerable luster and sharp detail. 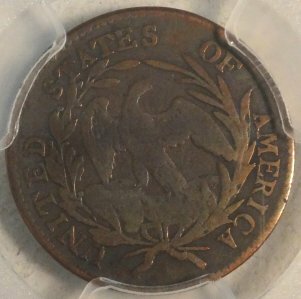 Good "old album" color - the old cleaning seems minor compared to how difficult these coins are to find! 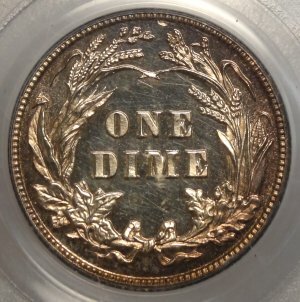 1895-O U.S. Barber - Liberty Dime MS62 (PCGS)... 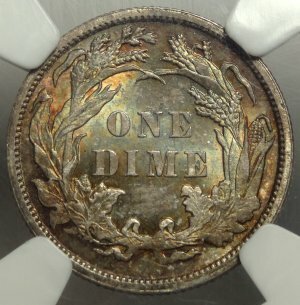 Yes - we have two amazing MS-62 PCGS certified coins in stock! 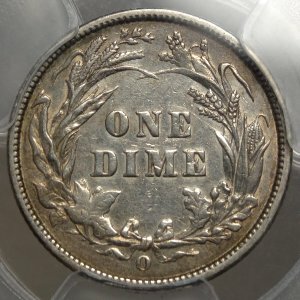 We offer you a RARE opportunity to own a VERY RARE key date Barber - Liberty Dime! 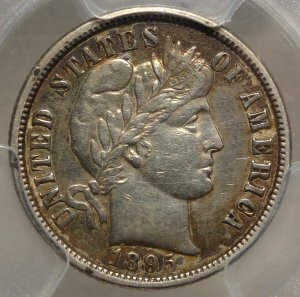 1897-P U.S. Barber Dime MS63 (PCGS)...A stunningly toned, original Uncirculated example, with "old time" album color. 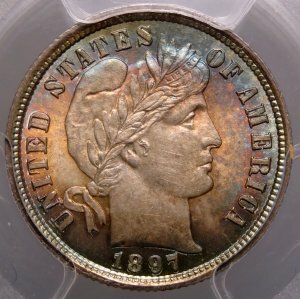 Sure to be a hit with the lover of original color! 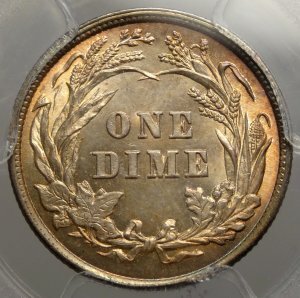 1897-S U.S. Barber Dime Fine-15 (PCGS)...A nice solid, original example of this better date, in a popular collector grade. 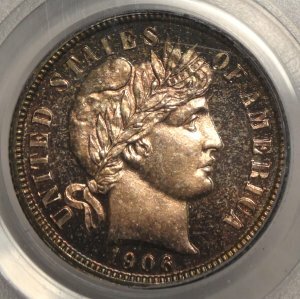 1906 U.S. Barber Dime PR63 (PCGS)... A wonderfully toned Proof example with some notable Cameo contrast, in an older PCGS slab, from our collectors cabinet. 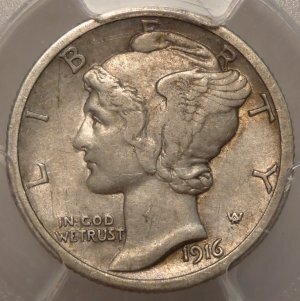 1912-D U.S. Barber Dime MS-64 (PCGS)... A nice Choice BU coin, perfect for Type, from our collectors cabinet. 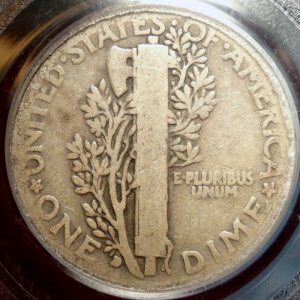 1913-S U.S. Barber Dime FINE-15 (PCGS)... One of the Semi-key dates to the series in an affordable mid-grade condition, from our collectors cabinet. 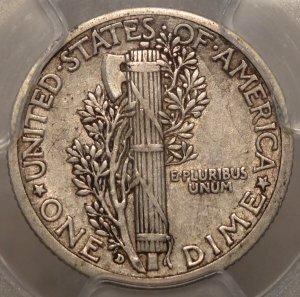 1916-P U.S. Mercury dime MS63FB (NGC)...A popular selection from our collectors cabinet! 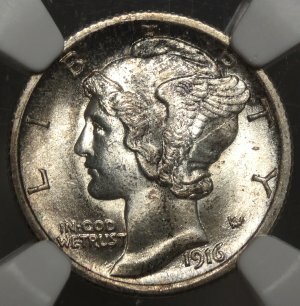 1916-P U.S. Mercury dime MS64FB (NGC)... A popular selection from our collectors cabinet! 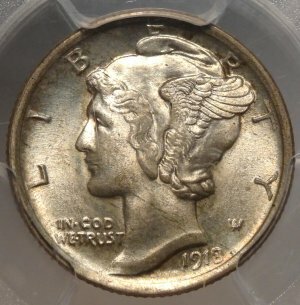 1916-D U.S. Mercury dime GOOD-04 (PCGS)... 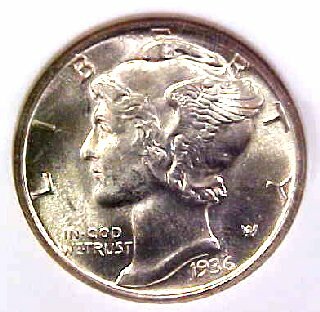 The key date to the series in an affordable condition from our collectors cabinet. 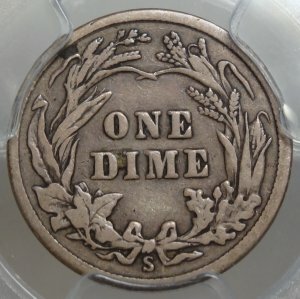 A scarce dime in any condition! 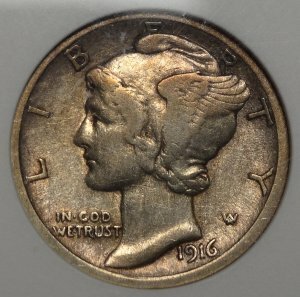 1916-D U.S. Mercury dime VF30 (ANACS)...A scarce mid-grade example and key to the series. 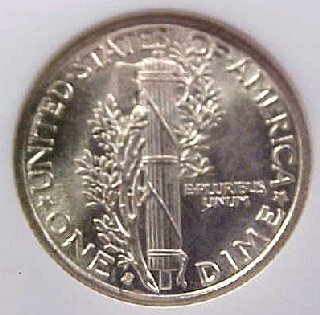 In an ANACS Details holder, noted as having been cleaned in the past. 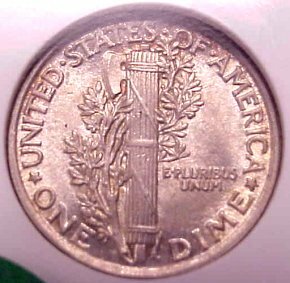 This is more reflective of ANACS collector-friendly standards, that any specific defects visible on the coin. 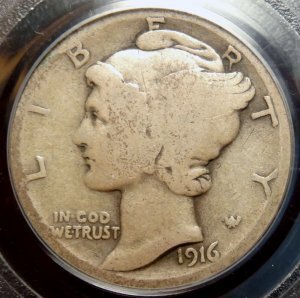 The cleaning was relatively light, long ago and the coin still retains considerable luster; we have certainly seen similar coins in "normal" slabs. Certainly it reflects good value for the price. 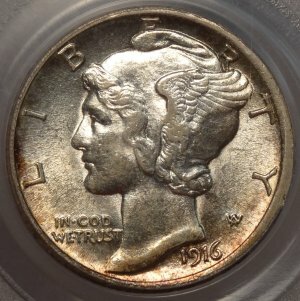 1916-D U.S. Mercury dime AU-58FB (PCGS)... 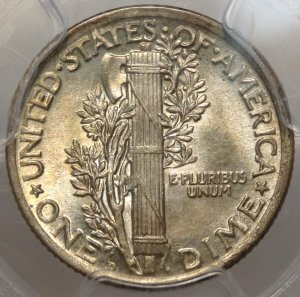 The key date to the series in an affordable condition graded AU58 by PCGS. 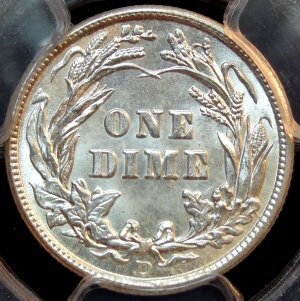 You will be delighted with quality of this highly desireable rare date coin from our collectors cabinet. 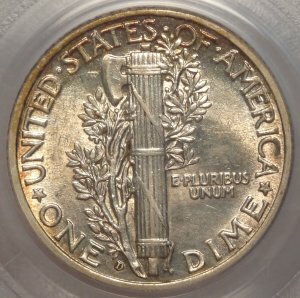 1916-D U.S. Mercury dime XF45 (PCGS)...Choice and completely original XF-AU example of this popular key date issue. Popular brilliant unc. 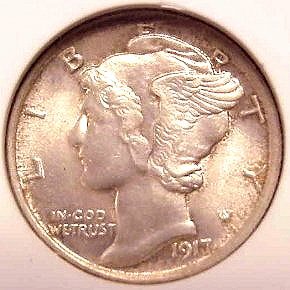 1917-P Mercury dime! 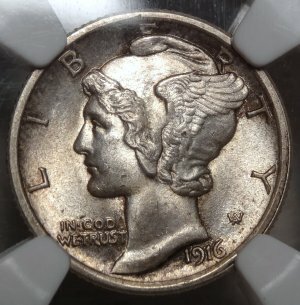 1917-P U.S. Mercury dime MS64 (NGC)...An original near gem example for the set! 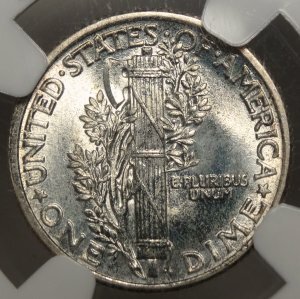 1936-S U.S. Mercury dime MS65 FB (NGC)...Fully struck with a nice look...these are an excellent value in todays market. 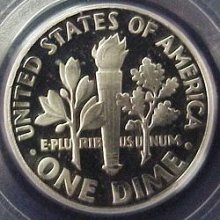 Rare Gem Deep Cameo 1959 Dime! 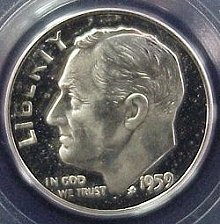 1959 U.S. Roosevelt dime Proof 67 Deep Cameo Silver (PCGS)...RARE: A popular selection from our collectors cabinet!